House......No. 11. 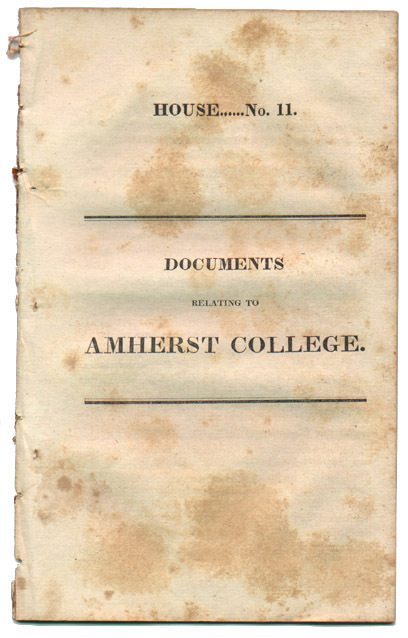 Documents relating to Amherst College. This is the cover of a reprint of Massachusetts State House and Senate documents relating to Amherst's quest for "pecuniary aid" in 1832.